Ning Wang and his wife Ting Qian bought Apple shares in the late 1990s and refused to sell them, even during the dotcom bust and the Great Recession. They say that faith in Apple has made them more than $1 million. "We didn't panic. We know the stock market goes up and down," said Wang, who first purchased 600 shares of Apple (AAPL) with his wife in May 1998. The couple didn't budge even when Steve Jobs -- the heart and soul of Apple -- died in October 2011. That was a smart move. Apple shares have more than doubled since then. Today it's the most valuable company on the planet. "We believe a good brand and a good company can last very long after the founder passes away. So we stayed with Apple," said Wang, who is 59 years old. He shuns the nuts-and-bolts analysis you find at big investment banks. 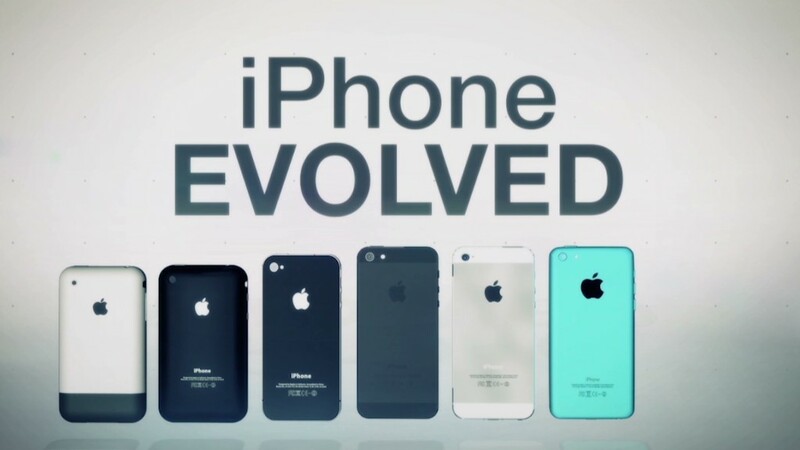 "At the beginning we realized Apple products are almost like jewels. People are proud of their Apple product. That's not a technical Wall Street analysis," he said. 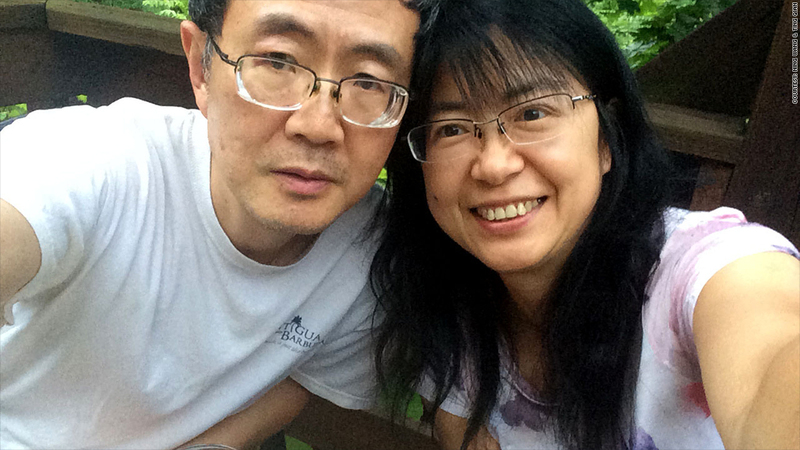 The Queens, N.Y. couple arrived from China as foreign students in the 1980s, earning their Master's degrees and finding work. They also co-published Advertising in America, a Chinese-language book. Wang is currently editor-in-chief of Sing Tao Newspapers, a giant Chinese newspaper chain, while Qian is a communications manager at the Institute of Electrical and Electronics Engineers Communications Society. 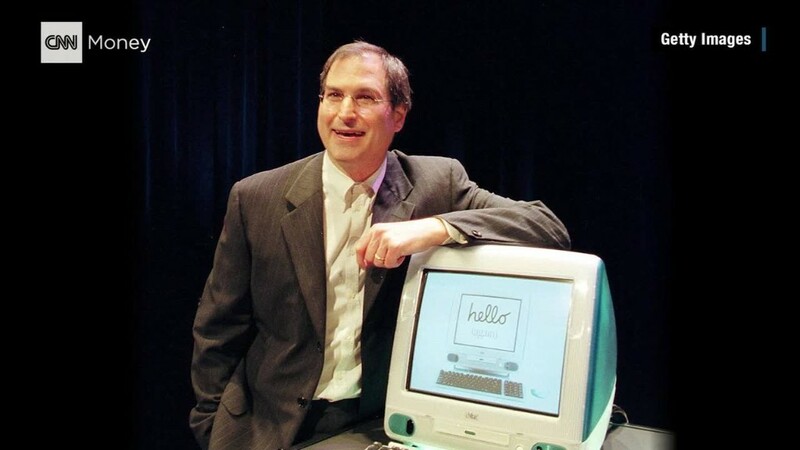 Incredible return on investment: Trade confirmations shared with CNNMoney show that the couple purchased 100 shares of Apple (then called Apple Computer Inc.) at $34 a piece in 1998. Taking into account Apple's stock splits (there was a 2-for-1 split in 2000 and again in 2005, as well as the 7-for-1 split this past June), that sole order of 100 shares translates to 2,800 shares today. An original trade confirmation from 1998. Given the current Apple price of around $131, those shares are now worth about $367,000. 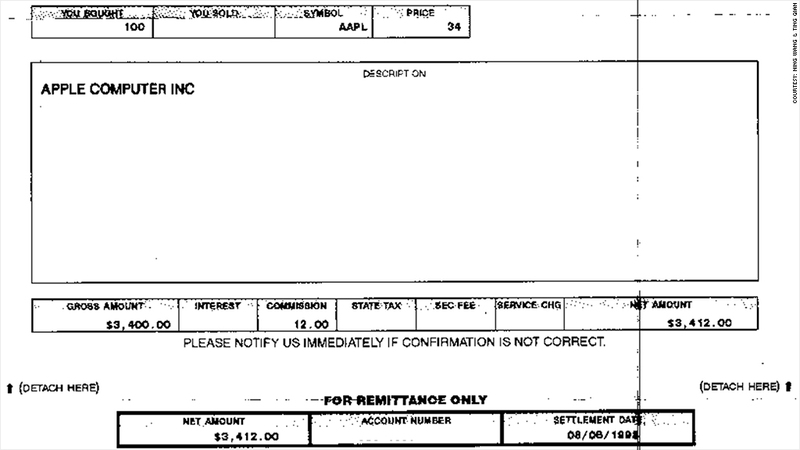 Subtracting their initial $3,400 investment leaves a massive profit of $363,400 -- from that trade alone. That's a phenomenal return on their investment. Wang and Qian also shared with CNNMoney trade confirmations showing they invested in 500 more shares in 1999. All told, the couple calculates they've made more than $1 million in realized and unrealized profits on Apple stock. Lured by Apple products: For Qian, buying shares in a company is like building a long-term relationship. She and her husband were drawn to Apple by a love for the company's products. "[Apple's] financial outlook, numbers and data are essential, but not the main reason to trigger buying the stock," she said. Qian, 51, describes herself as a "happy end user of Apple products," owning everything from the Mac and iPod to the iPhone. She once attended a keynote speech by Jobs and closely followed product launches. She said she could almost "feel the pain" from Apple's freefall during the economic crisis. Like many investors, the couple made some tweaks over the years. They did sell some shares early last decade only to buy them back at an even lower price. One exception occurred around 2006 when they had to buy them back at a higher price. Since then they've rarely taken any chips off the table. "We realized it was a mistake timing the market on this rising stock," said Wang. Related: Tim Cook is not Steve Jobs. So what? What's next? The couple's bargain hunting isn't limited to just the stock market. In recent years they have purchased and renovated five houses in the Poconos. Four houses were in foreclosure and one was acquired through a short sale. They've also diligently contributed to their 401(k) and IRA accounts, which now have about $1.5 million in them (including the Apple stock). Qian and Wang love their jobs and have no plans to retire. But thanks to their savvy real-estate and stock investments, they certainly could if they wanted to.